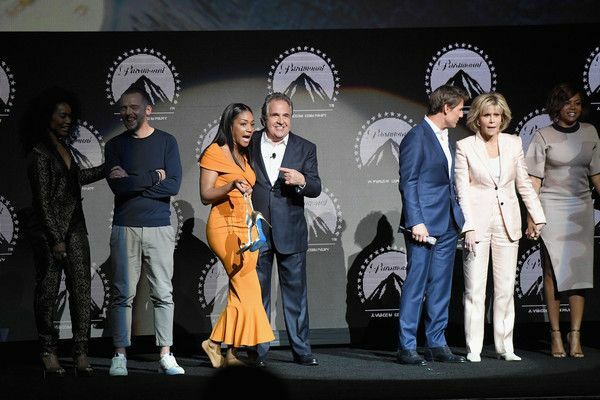 CinemaCon, the largest and most important gathering for the worldwide motion picture theater industry, just wrapped up. 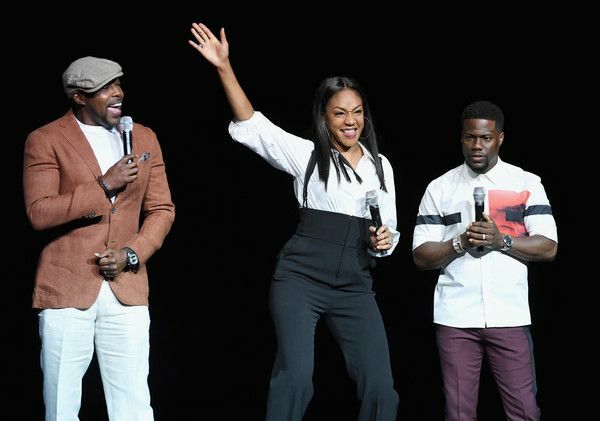 From premieres to presentations, CinemaCon brought out several of our Hollywood faves. And they weren’t there just to snap pics and entertain. They won some awards as well. 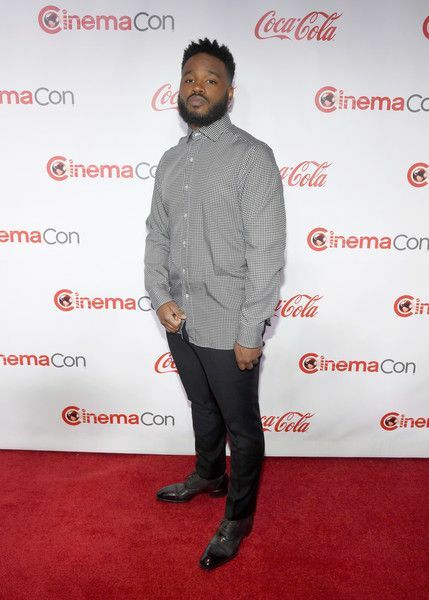 Several YBF stars took home awards during the 2018 CinemaCon Big Screen Achievement Awards held at Omnia Nightclub inside Caesars Palace in Las Vegas. 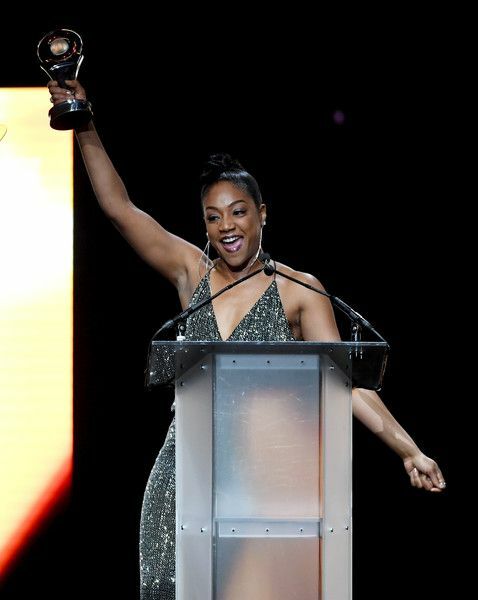 Since her breakout role in Girls Trip, Tiffany Haddish has been killing the game, so it’s no surprise she copped Female Star of Tomorrow Award. 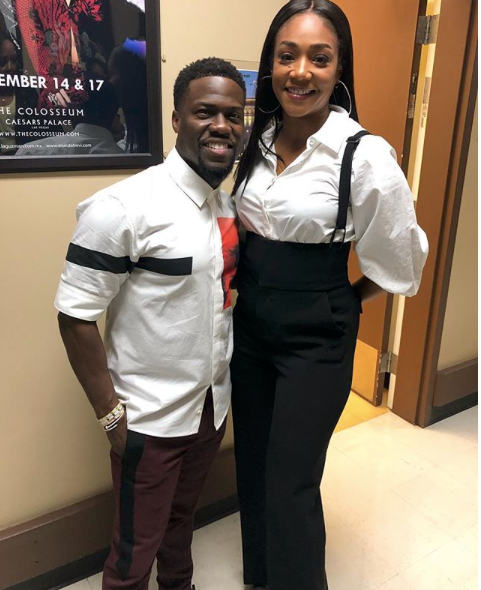 We're going to be seeing plenty more of Tiffany since she has a slew of projects she's starring in and producing coming down the pipeline. 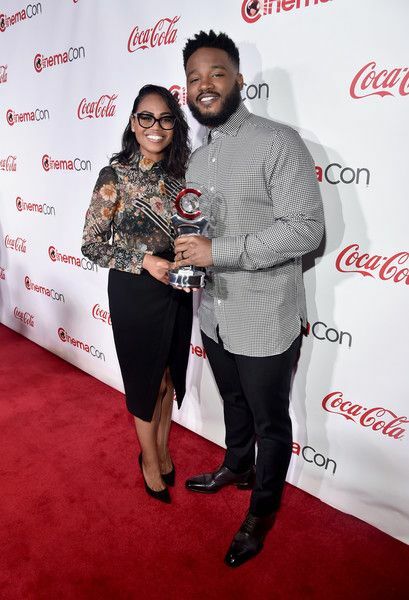 Gabrielle Union was recognized for her work behind-the-scenes. 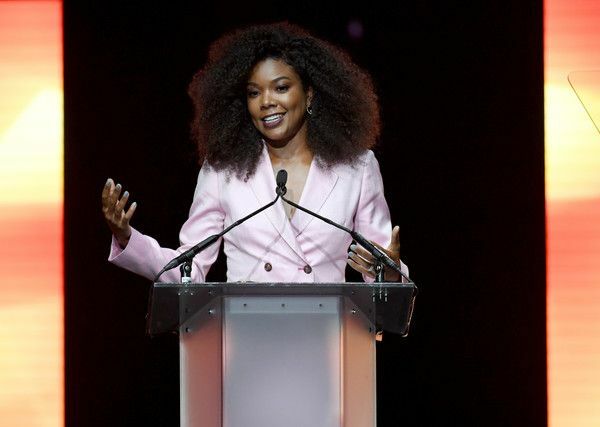 The “Being Mary Jane” star, serving up Angela Bassett vibes in a pink Gabriela Hearst pants suit, was awarded the Breakthrough Producer of the Year award. 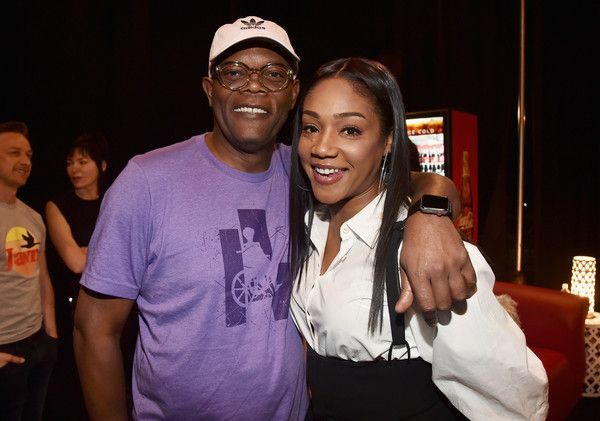 She’s wearing her executive producer hat alongside Will Packer for the upcoming thriller, Breaking In, due in theaters May 11th. "We've always had to be that. Half the time, on certain productions if they don't believe in diversity in the hair and makeup department, then we're hair, we're makeup, we're wardrobe. You gotta to make sure not only you know your lines, but everybody else knows their lines. because you want it to be a success. So we've been multitasking as talent forever. Now we're being given the opportunity to produce as well. For me it's just another day in the park but I'm also getting paid for it finally. Like Nicki Minaj said, 'I been on!'" 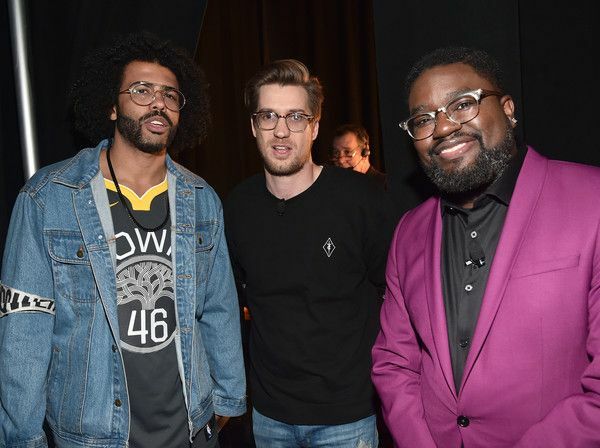 Lil Rel Howery has been making a splash on the Hollywood scene, starring in Jordan Peele's Get Out, “The Carmichael Show,” Issa Rae's “Insecure,” "The New Edition Story," and Jay Z’s “Moonlight” video, to name a few. 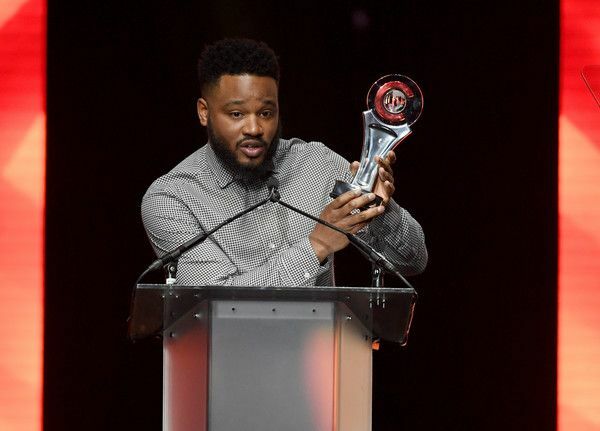 He was honored with the Breakthrough Performer of the Year award for his work. 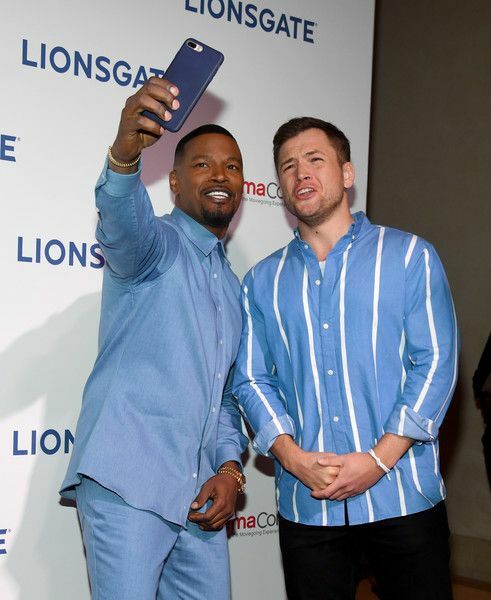 Ryan Coogler brought us the biggest movie of the year, wait…the decade. 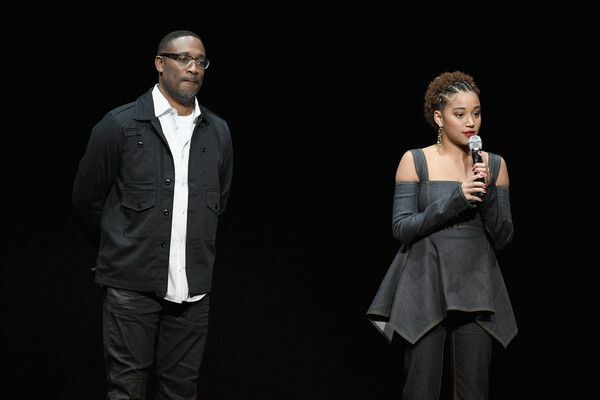 Black Panther slayed the hell out of the box office and we can thank Ryan for that. 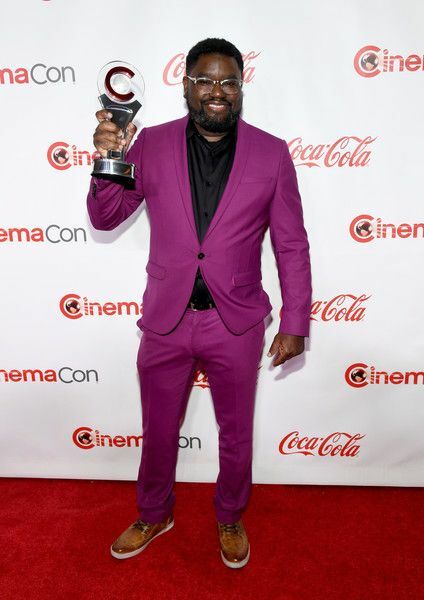 He was awarded the Director of the Year Award. His wife Zinzi Evans was right by his side. 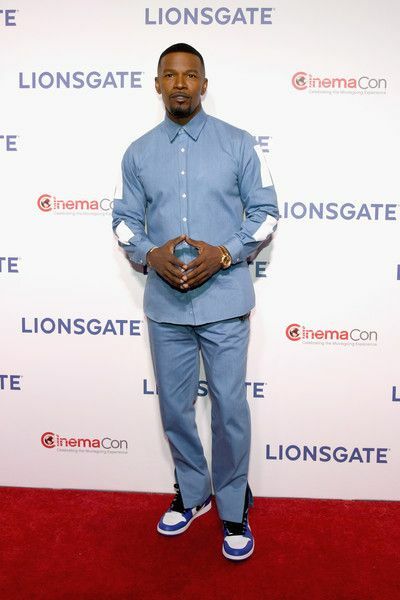 Oh, hey denim-down Jamie Foxx! 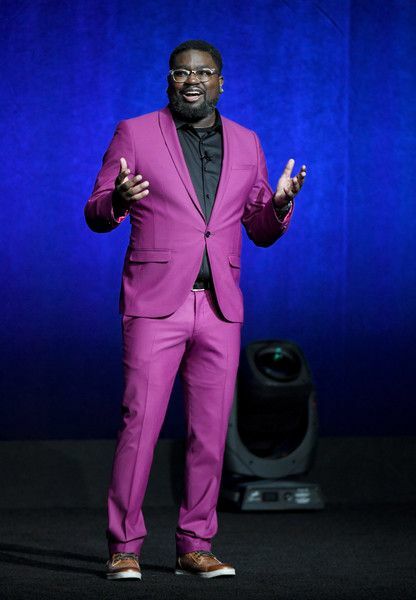 The actor/singer/comedian was on a solo mission as his rumored girlfriend Katie Holmes attends events in NYC at the Tribeca Film Festival. 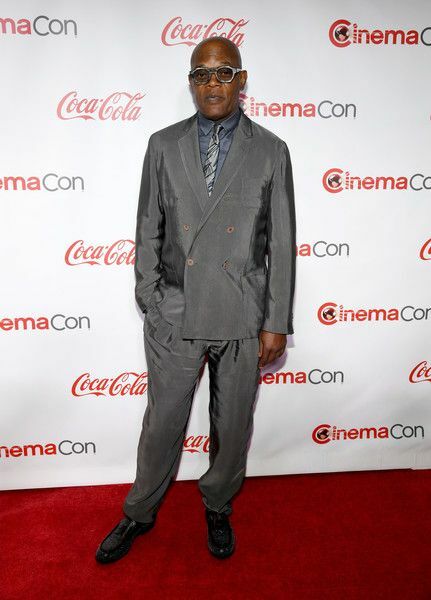 Hollywood titan Samuel L. Jackson was awarded the 2018 Cinema Icon Award. And for good reason. The veteran actor has kept us entertained in over 100 films over three decades. Nice! 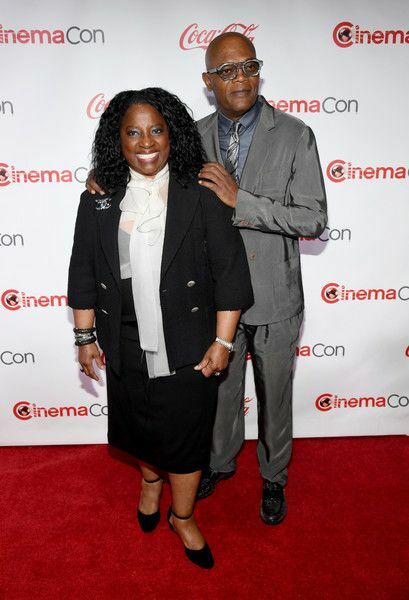 His wife, LaTanya Richardson, was right by his side to celebrate during his big night. 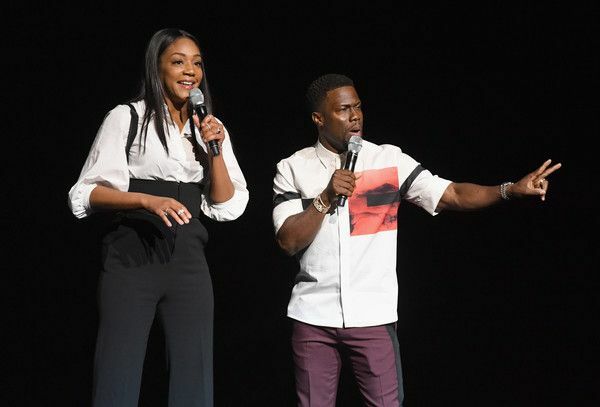 The Night School cast and crew - Will Packer, Tiffany Haddish and Kevin Hart -- were busy cutting up on stage during the Universal Pictures Invites You to a Special Presentation Featuring Footage from its Upcoming Slate at The Colosseum at Caesars Palace during CinemaCon. 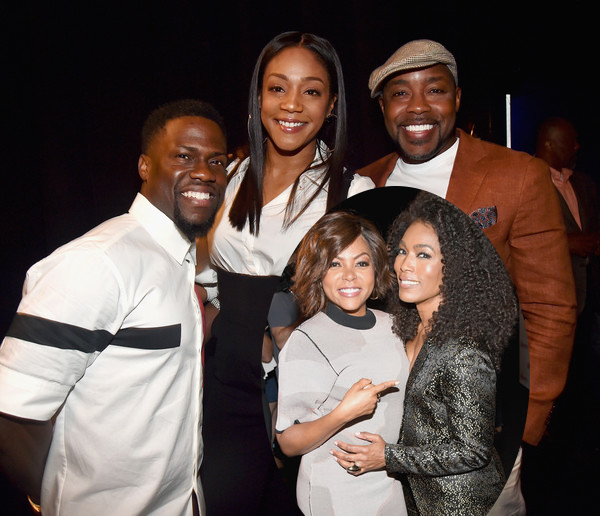 While an event like this is considered "work," we know Kev and Tiffany were acting a fool. 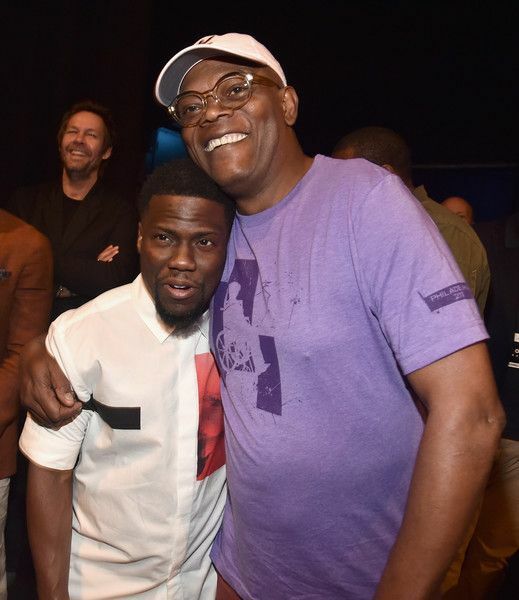 Samuel L. Jackson made his rounds, snapping it up with the Night School stars. 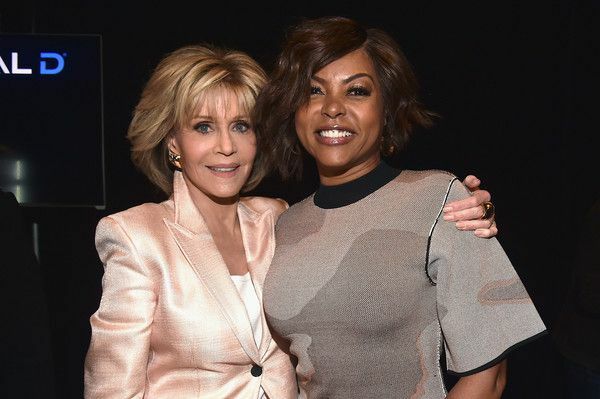 Both ladies are freakin' flawless. 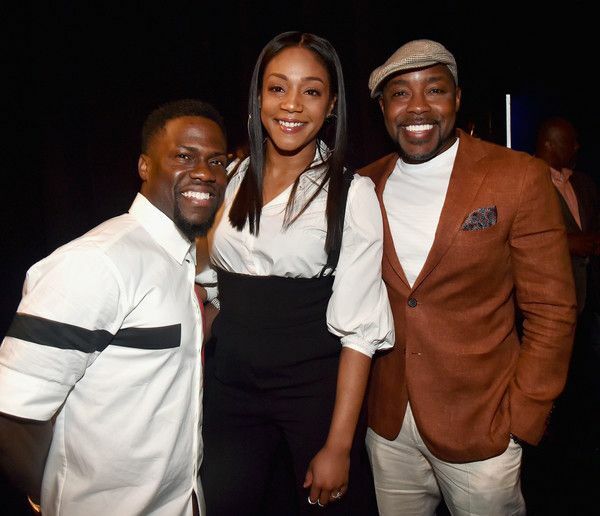 Tiffany Haddish also hit the stage alongside Taraji, actress Jane Fonda and more. 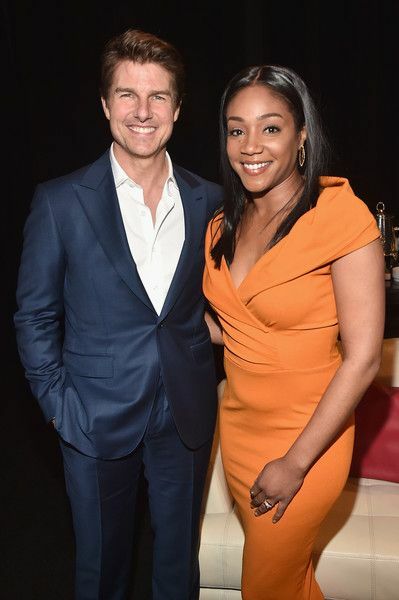 We wonder if Tiffany was on her good behavior when she met Tom Cruise. 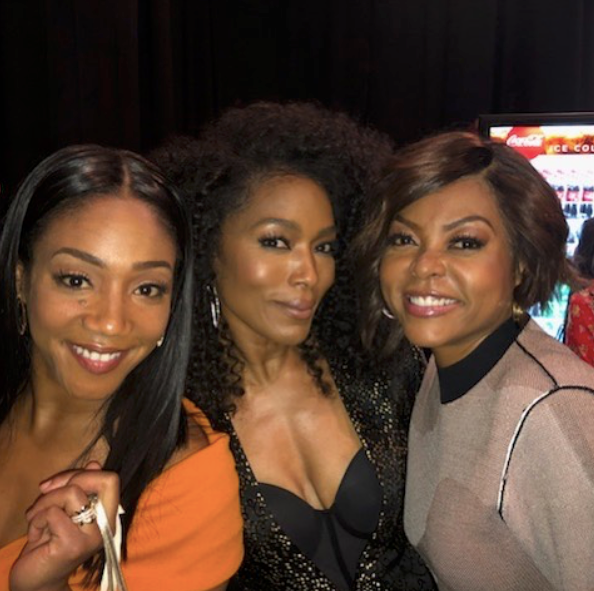 The "Empire" star flexed a bit on social media before she stepped out. 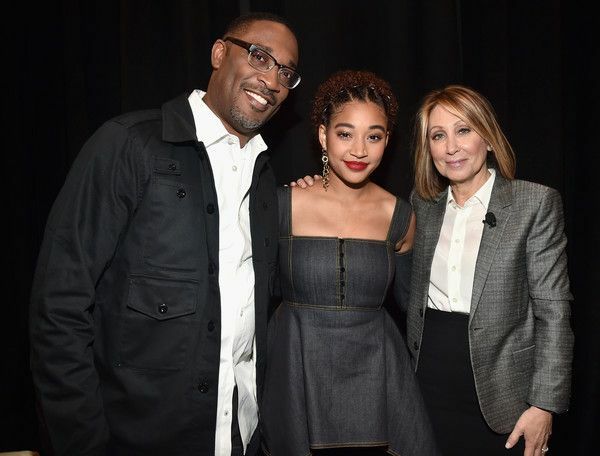 Amandla Stenberg, rocking a ADEAM denim outfit, hit the stage for the 20th Century Fox Invites You To A Special Presentation Highlighting Its Future Release Schedule program to introduce her new movie, The Darkest Minds, an adaptation of author Alexandra Bracken's young adult novel. Director Jennifer Yuh Nelson - the first woman to solo direct an animated feature for a major Hollywood studio and the first woman of color to direct a film with a budget of $150 million - is doing something that isn't done often in the industry. She's going taking the movie from animation to live-action, but she's totally up for the challenge. The Darkest Minds hits theaters August 3rd.